West Point Band Ready To Eat Goat! The annual Army vs Navy game has arrived and as is tradition the entire nation will be glued to their TV sets to watch this great game full of American pageantry, military pride and of course football. To get fired up the bands each year make fun videos that "rally the troops" and build hype for the game. 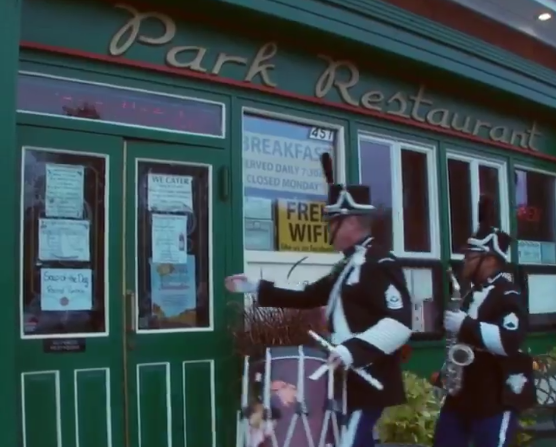 The West Point Band dropped their video and it looks like they are going hunting, for goat! The mascot of the Navy is in fact a goat, so the Army Band set off to find the best dishes that include goat. While I'm not a goat eater myself, I can see how the West Point band would want to eat goat this week. Go Army!